Looking for DVDs you can borrow? 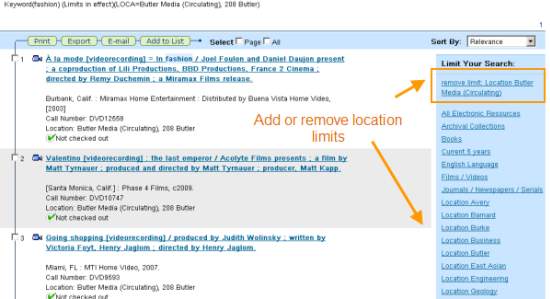 Limit your title and keyword searches to Location: Butler Media (Circulating). Looking for books that are available at 2am? Each time you add a location to a search, CLIO will look for items in either location. Physical volumes always have a library location. To search for physical items or ebooks, add Location: Online to every search when you limit by location. If you apply a location limit and get no hits, just remove the limit from your search. Applying location limits may slow response time. To avoid a system error, wait until CLIO has finished processing to click on a link. 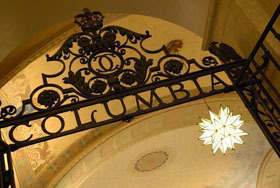 This entry was posted in Books, CLIO on September 13, 2010 by Sarah Witte.